MOSD is on Butterfly Watch! 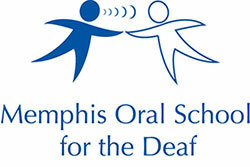 For over 25 years during the month of May at Memphis Oral School for the Deaf, we have a unit on butterflies. We order Painted Lady caterpillars and when they arrive at school they are very tiny. The caterpillars are kept safe and secure in a cup with food and everything they need to thrive. Once they are ready, they climb to the top of the cup and attach to the lid and form a chrysalis where they stay for a time until they are ready to burst out, transformed into beautiful butterflies! We believe the children that attend Memphis Oral School are a lot like these beautiful butterflies. They begin in our program as tiny babies or toddlers. Once they complete our program, they are equipped to go into their mainstream neighborhood schools with all the speech, language, social and academic skills they need to be successful in their classrooms and in life in general. These butterflies are the symbol of our children's transformation through the years at MOSD. They are loved and nurtured until they are ready to fly! EVERY child has the right to develop their individual capabilities to the greatest extent possible. In the case of hearing-impaired children, additional resources are required in order to provide a solid educational foundation and an equal opportunity to succeed. 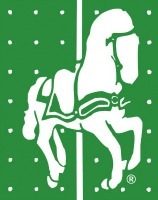 Memphis Oral School for the Deaf (MOSD) exists for the purpose of ensuring that these unique resources are readily available to those young children who need them. With the combined support of the community and MOSD, young deaf children in Memphis and the Mid-South area continue to have the opportunity to listen, learn, and talk.